But as nations come to terms with the shifting political, social and economic landscape, so it is perhaps creating opportunities for those outside the political elite to potentially influence the global agenda as never before. Based within the Faculty of Business, iSPER joins the University’s seven existing research institutes, spanning the spectrum of marine and earth sciences, arts, health, medicine, pedagogy and sustainability. And it will share their core aims of encouraging collaborative research of the highest quality, building on existing areas of excellence highlighted by the Research Excellence Framework in 2014 and assisting in the delivery of research-led teaching. 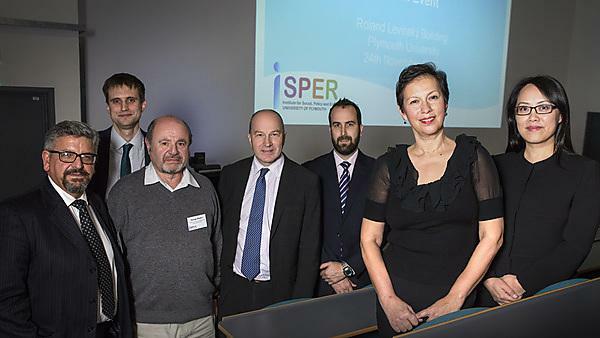 iSPER has been up and running behind the scenes for some time, but its public launch took place in November 2016. And plans are already being drawn up for a range of public events and networking sessions, designed to encourage academics to engage directly with each other, experts from other institutions and policy makers, businesses, charities, NGOs and other key influencers. Another of its key focuses will also be around providing support for individuals, to ensure there is assistance available to boost their work and profiles regardless of what stage they are at in their careers.